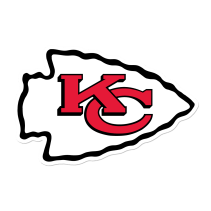 The Kansas City Chiefs lost for a second week in a row, losing to the Oakland Raiders 30-31. In week 8, the Denver Broncos were shut out by the Los Angeles Chargers, 0-21, suffering their first shut out since November 22, 1992 to the Los Angeles Raiders 0-24. In week 8, Trevor Siemian had just 207 yards and an interception. Who will come out on top in this AFC West division rival? What can we expect in week 8? Can the Denver Broncos bounce back? Being shut out is tough for any team, but with home field advantage, can the Broncos bounce back to defeat the Chiefs? After a great start to the season, Siemian now has 7 interceptions to just 8 touchdowns and currently has a 63% completion percentage. But Siemian isn’t the only offensive player having some trouble. Running back C.J. Anderson has had a tough time this season getting the ground game going as well. Anderson has only one game with over a hundred rushing yards, totaling only 391 rushing yards and only a single rushing touchdown this season. There’s been continuous talk about Jamaal Charles getting more looks, but he’s been limited to under 10 touches for 5 games in a row now. But in a #RevengeGame against his old team, perhaps we’ll see him get a few more. Then there’s the Broncos offensive line. Siemian has been sacked 22 times this season, mainly due to a crumbling offensive line. Only Jacoby Brissett (Indianapolis Colts) and Matt Stafford (Detroit Lions) have been sacked more. At least the Broncos have Ron Leary, but one guy isn’t going to be enough. With wide receiver Emmanuel Sanders questionable but most likely out, Bennie Fowler will fill in again. Defensive end Todd Davis will also likely sit out on defense. According to Football Outsiders, the Broncos are ranked 22nd on offense, but the Chiefs are only ranked 25th on defense, ranked 19th against the pass and 28th against the run. I suppose that’s the proverbial “stoppable force” facing a “movable object”. In week 7, the Chiefs defense allowed only 88 rushing yards, but did allow 417 passing yards. Siemian will need to step up and hit his targets against the Chiefs, because you can be certain Alex Smith and the Chiefs offense will have their foot on the gas. Expect C.J. 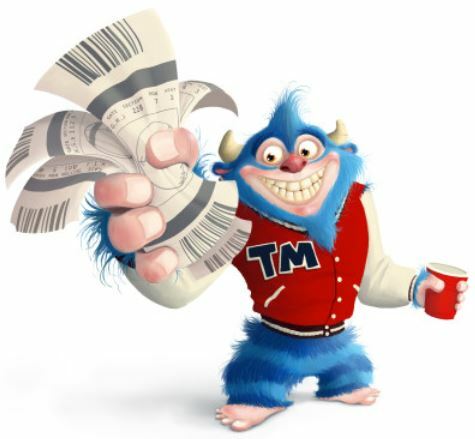 Anderson to have a touchdown this week. Will the Broncos defense allow the Chiefs to score the first rushing touchdown against them? The Broncos defense have yet to allow a rushing touchdown this season. With the number one rushing defense in the league, allowing an average of only 71.8 yards per game, the Broncos have been hard to beat on the ground. Bur regardless, I think the Chiefs will have a rushing touchdown. 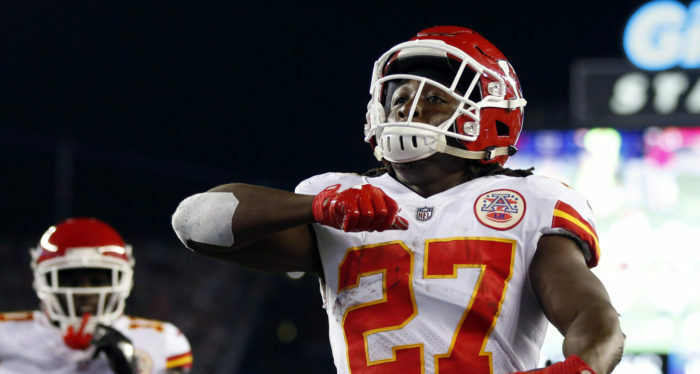 Will Kareem Hunt be a factor against the Denver Broncos? Although Kareem Hunt hasn’t had a rushing touchdown in the last four games, since I just predicted a rushing touchdown, I think he will. The leading rusher in the league has 717 rushing yards, but only 4 rushing touchdowns. With the Broncos defense ranked 12th against pass running back receptions, their focus will be to stop Hunt. Hunt has 285 receiving yards and 2 receiving touchdowns this season, but hasn’t had a receiving touchdown since week 1. If Hunt is able to make plays against the toughest defense, the Broncos will just be a new challenge. It’s tough to defeat the Broncos at home, but it’s been done. The New York Giant’s did it. Siemian will see some trouble with the Chiefs defense. Expect Siemian to throw two interceptions. The Kansas City Chiefs win. The Los Angeles Chargers defeated the Denver Broncos, 21-0, having won their last three games in a row. Joey Bosa had two of the five sacks by the Chargers defense, while Philip Rivers passed for 183 yards and 2 touchdowns. In week 7, the New England Patriots defeated the Atlanta Falcons 23-7, also having their third win in a row. In week 8, the Chargers will face the Patriots at Foxborough. It will be a tough arena for the Chargers, but is a win be possible against the Patriots? The Los Angeles Chargers are on a roll. Philip Rivers has had 1816 passing yards, 12 touchdowns and 5 interceptions. With the Patriots defense suffering significant injuries, the Chargers could leave Foxborough with a win. According to Football Outsiders, the Patriots defense is ranked 31st overall, ranked 28th against the pass and 26th against the run. 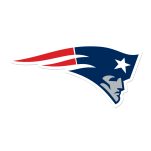 These rankings could drop even further after week 8 with the Patriot’s missing linebacker Dont’a Hightower, who will miss the rest of the regular season with a torn pectoral muscle, as well as defensive tackle Malcolm Brown and corner back Eric Rowe. This could mean a high scoring game for Chargers running back, Melvin Gordon, and some opportunities downfield for Philip Rivers. I expect Gordon to get a touchdown and Rivers to have 3 passing touchdowns. The New England Patriots offense. The Chargers defensive end, Joey Bosa and Melvin Ingram, will be focused on stopping Tom Brady on Sunday, while the Patriots offensive line will be looking to protect their quarterback. Bosa and Ingram are two of the best pass rushers in the league, ranked 6th and 4th, respectively, in the league in sacks. However, with the Chargers allowing the most rushing yards in the league, an average of 140.6 yards per game, you can expect the Patriots offense to take advantage of their ground game. The Patriots have averaged 110.7 rushing yards per game and has had 6 rushing touchdowns this season. According to Football Outsiders, the Chargers defense is ranked 8th against the pass game, but that won’t stop Brady from throwing. Expect a high scoring game. The Chargers and the Patriots last met in 2014, when the Chargers were the San Diego Chargers. At San Diego, the Patriots won 23-14. If the Chargers can get an early lead and keep pressure on Brady, a win may be in the horizon. The Los Angeles Chargers win. The Oakland Raiders looked to have re-found their stride in week 7 against the division rivals Kansas City Chiefs, winning 31-30 in dramatic last second touchdown. It was their first win since week 2. The Buffalo Bills are also coming off a win against the Tampa Bay Buccaneers, 30-27. A team that wasn’t considered postseason contenders at the beginning the season is one win away from the Patriots in the AFC East, sitting 2nd in the division. In week 7, Derek Carr had his best game of the season against the Kansas City Chiefs with 417 passing yards, 3 touchdowns and no interceptions. This was after Carr returned from a transverse fracture in his back. Carr seems to be back to pre-injury form, and that doesn’t bode well for the Bills secondary who’s pass defense has allowed over 700 yards in the last two games. The Bills will be without corner back, E.J. Gaines and safety, Jordan Poyer will be a game time decision, which means even if he does play, Poyer won’t be a 100-percent. But that doesn’t mean Carr will have it easy with Bill’s safety, Micah Hyde, still healthy. Hyde leads the league in interceptions (4), tied with the Tennessee Titans’ Kevin Byard. Expect Amari Cooper to be heavily covered after his performance in week 7, as will Micheal Crabtree. According to Football Outsiders, the Bills defense is ranked 19th against WR 1, 8th against WR 2, and 1st against all other wide receivers. Expect Derek Carr to have 2 passing touchdowns. In week 8, the Bills host the Raiders. The Bills have had three straight wins at home this season, and looking to make Sunday against the Raiders their fourth. According to Football Outsiders, the Bills are 22nd overall on offense, having an average of 181 passing yards and an average of 117.7 rushing yards. In week 7, LeSean McCoy had one of his best games since week 1, with 91 rushing yards and 2 touchdowns. His first touchdown of the season. If the Bills want to compete with the Raiders pass game, McCoy will need to get the ground game going to alleviate pressure from Tyrod Taylor. The Raiders defense is ranked 29th overall, ranked 31st against the pass and 20th against the run. 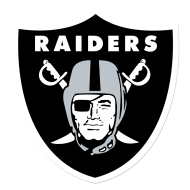 Of course, the Bill’s offense will need to deal with Raiders defensive end, Khalil Mack, who’s had 4.5 sacks this season and has the ability to ruin plays. The last two times Carr and the Raiders met the Bills, the Raiders won. Expect the Bill’s win streak at home to end. The Bills offense just won’t be able to keep up.